Neon bright rhinestuds and rhinestones mix "Neon Swirls" design. Sparkly crystals and fluorescent studs make this pants eye-catching on the ice. 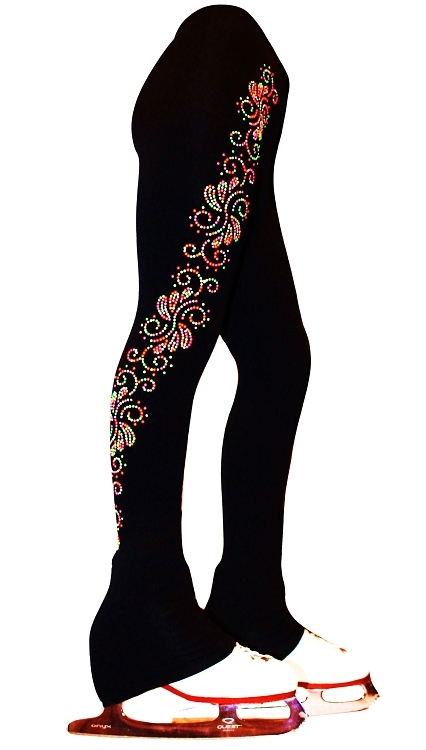 Over 600 randomly mixed AB clear rhinestones and neon pink, orange, yellow and green studs swirls around the right leg of the pants. 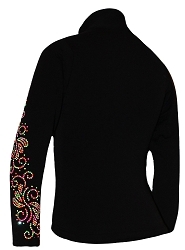 Enjoy skating and look great on the ice with premium ice skating pants by Ice Fire - your way to shine!